Milos and I bought an underwater camera while in Bangkok, as I had been dreaming of being able to take photographs while snorkelling. 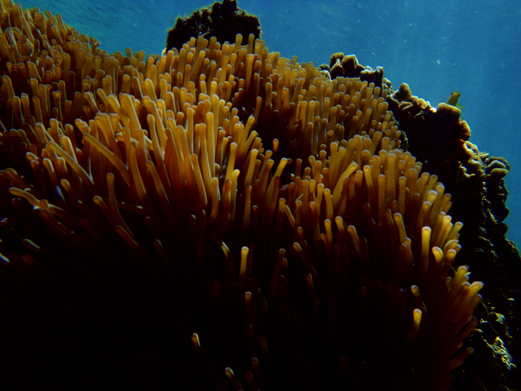 I really wanted something digital, because it does take quite a bit of practice to shoot underwater. 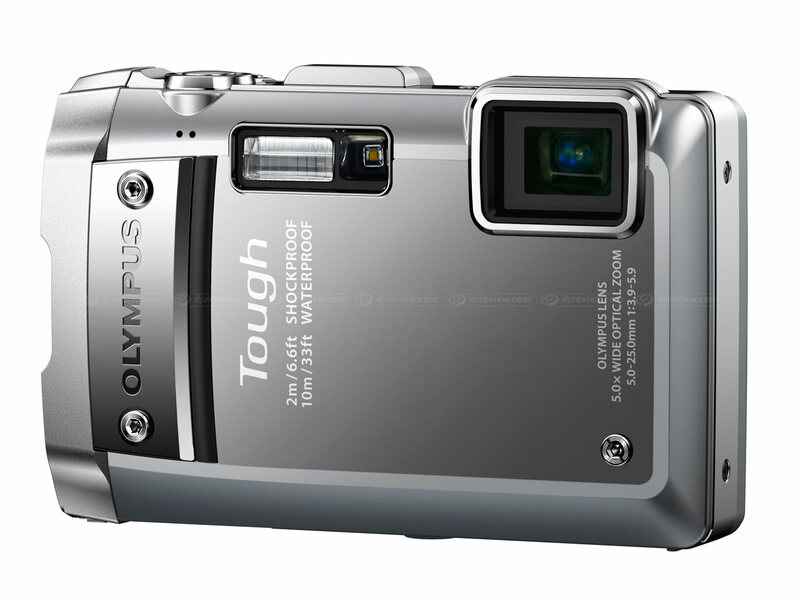 In the end we chose the Olympus Tough, which we bought at the Pantip Plaza, a massive IT mall. Our camera is resistant up to 10 meters, and Milos carried it with him on one of the dives in Koh Nang Yuan, while we were getting our Padi certificate. We never ended taking any photos that time, as we were so busy practising all our diving skills. But the camera held up nicely, never sprung a leak, and we were pretty happy with the results. The Olympus tough is not really ideal for diving, unless you are really on a shallow dive, however we were able to fill up the memory card quite easily, and it was great not worrying about wasting film, especially while learning how to use the camera. The camera has a number of underwater options, the “fish action” mode is great, as it filters the light, and automatically adds contrast. Not too much need for touch ups afterwards. It’s by no means in the same league as any sort of SLR, but it is great as a little point and shoot, in rain or shine, and I especially love the panorama toy mode. We were able to get up close and personal with some stingrays, and all sorts of tropical fish. Being able to explore underwater and document some of the things we saw, really opened up a new magical world for us. I’ve always been a huge fan of aquariums, but the amount of life you can see in a millimetre of rock or coral underwater is just not comparable. Every inch is covered with some pulsing, swimming, swaying seaweed, slug, baby fish, and probably a whole bunch of unnamed creatures. Highlights for us included snorkelling around the Japanese Gardens (a learner dive spot on Koh Nang Yuan)The water is unbelievably clear, imagine an Olympic swimming pool filled with giant brain coral and thousands of fish. Besides having to share with a thousand drowning Japanese and chinese day trippers, the spot is quite idyllic, and well worth it once you put your head under water. 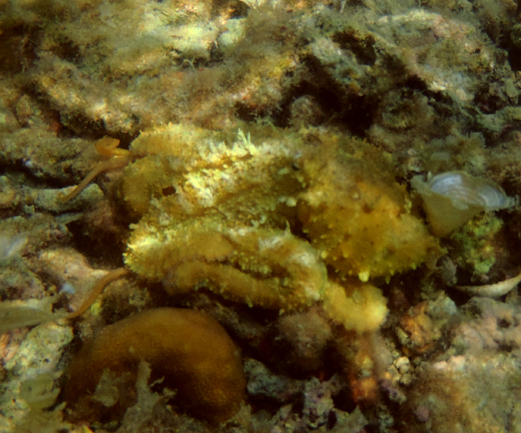 We also saw an abundance of tiny reef octopus, they are quite hard to spot, but if you are snorkelling, you don’t have a time limit on air, and with the water a cool 30 degrees Celsius, you can pretty much stay in for HOURS, plenty of time to spot the curious little fellas creeping along the seafloor. They change colour like a TV screen and are able to warp their skin into all sorts of seaweed looking works of art. Can you spot the little octopus in the photograph above? 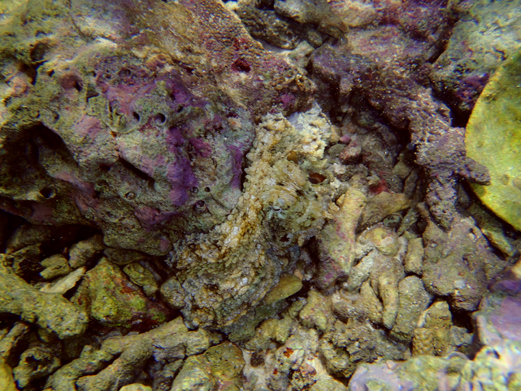 We also saw a bunch of reef cuttlefish which were also chameleon like. It amazed us at how many things were able to change colours, including various grouper, a type of fish, which could change its patterning from spots to camo. We also saw a banded sea krait that was about a meter long, as well as Giant grouper, which can grow up to the size of Milos!! Our final two highlights, included hunting for the blue spotted sting rays, and snorkelling for Sharks. 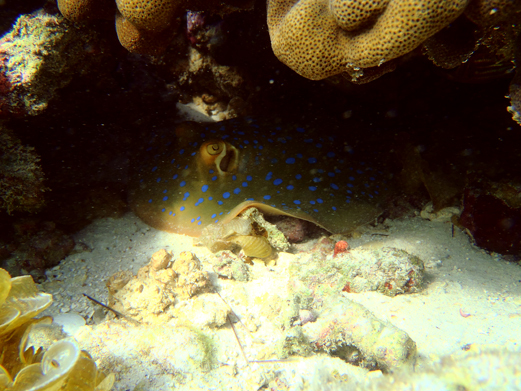 We found plenty of the rays hiding under coral during the day, they are quite easy to see if you know where to look. 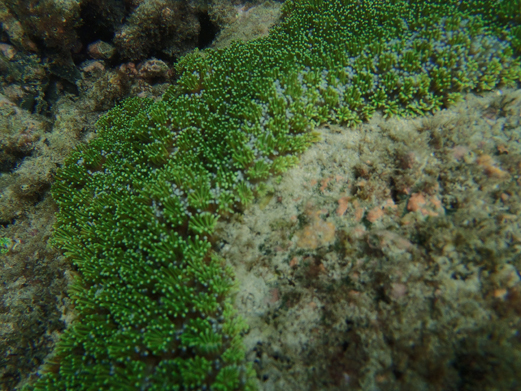 We discovered them by accident, when Milos put his arm down to try to photograph some fish that had swum under a coral. Later while looking at the photos I noticed a piece of “yellow and blue spotted coral” in a photo that looked uncannily like a ray. We were determined to see if we could prove if it was a ray or not, and put on our detective snorkels, figured out which part of the lagoon the photo was taken in, and the next day set off to try and find it. After hunting under almost all the round corals in the mini bay, I finally spotted a blue tail and we very excitedly watched the little ray dozing under the coral! 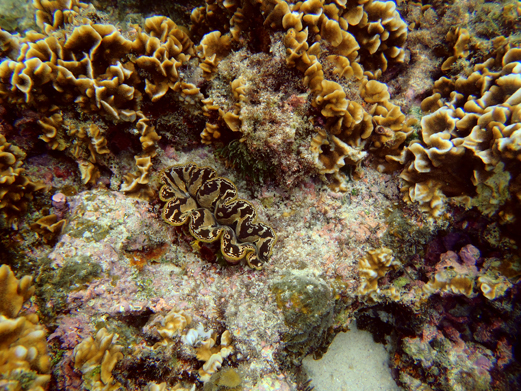 When we went diving, we discovered that there are plenty of them sleeping at the bottom of the reefs during the day. But it was most thrilling to track down the creature after identifying a smidgen of it from an accidental blurry photograph! 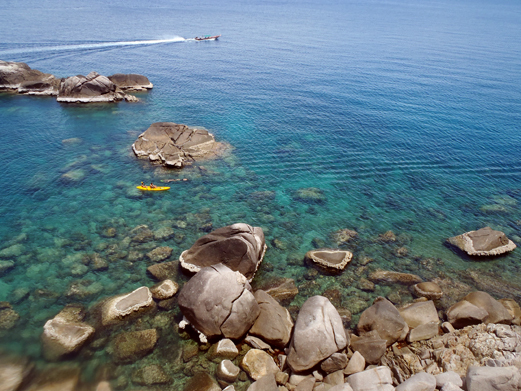 I was the only one to see the shark, while we snorkelled in Koh Tao. It was a small black tipped reef shark and it, very jaws like, swam out of the gloom, the water and light rippling over its streamlined body. The shark and I both freaked out when we saw each other, and by the time I grabbed Milos to show him, it was nowhere to be seen. I will, however, live with the very creepy image of its fins and sharkyness swimming out of the blue. 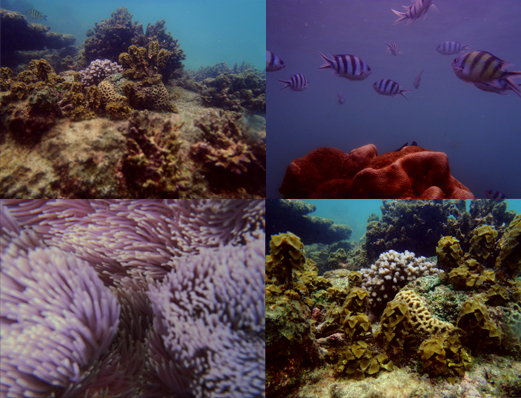 Tags: camera, diving, olympus, photograph, photography, snorkelling, TG 810 review, thailand, underwater. Bookmark the permalink. Absolutely gorgeous pictures! 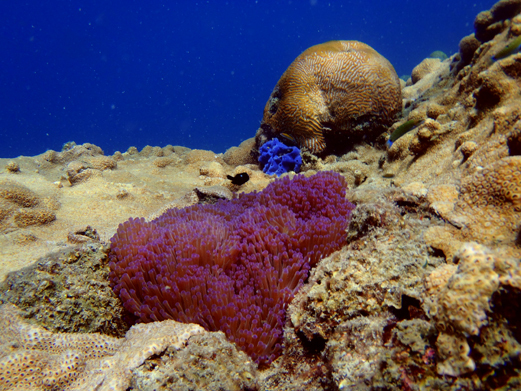 The colors are so vibrant — makes me want to go diving (if I weren’t claustrophobic and all…). I lived in Thailand for 12 years and these pictures you got are amazing! I would totally freak out if I saw a shark though. 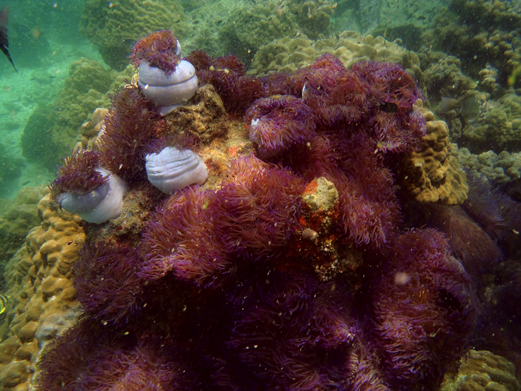 We went snorkeling in Koh Samui and parts of Phuket. But I’ve never been to Koh Tao. I’d love to go after seeing how clear the water is, except now I’m nervous about seeing a shark. That would have me out of the water right away. I was nervous about them too until I did a diving course, then they didnt seem so scary anymore! Well at least not the kind that live in Thailand! My fantasy has always been the beautiful and mysterious world under the water even though I might never dare to go down there (after two drowning accidents) But your post and pics help to satisfy a little bit of my desire. Thanks and congrat on FP. That is terrifying indeed! When we were on Koh nang yuan someone almost drowned. As i mentioned in the post, there were plenty of Asian day trippers, and unfortunately not many of them knew how to swim, yet the “snorkel tour” instructors would pop them in life jackets and encourage them to get in the water. Seemed like an accident waiting to happen. When they ended up in water too deep to stand they would panic. Perhaps you can still enjoy the underwater world from a glass bottomed boat? Take care! Sweet pictures and awesome art! Thank you for sharing! I love the post; your underwater adventure looks amazing! I wanna go there too! Hey, really enjoyed your post! A few of the photo’s came out incredibly well, namely P8091024 (showing the coral underwater and the view topside) and P8161237 & 208 (I can’t believe how clear the shots are!). We wanted to go to the Perhentians, but ran out of time! 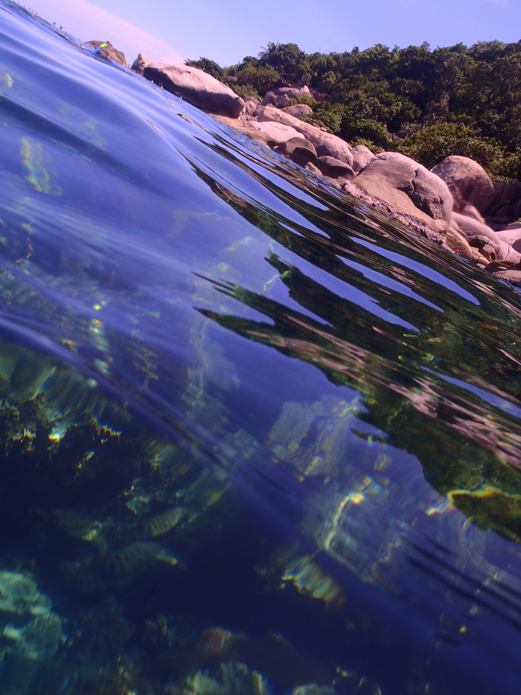 The water around Koh tao and Koh Nang yuan was incredibly clear when we were there, a real treat. There were also schools of about 20 sharks that came into the bay in the early mornings. It was a treat to see them! A pity your camera broke, better luck next time! Fantastic that you saw turtles! The best snorkelling of my life, took place in Thailand, but I didn’t have a cool underwater camera like you!! I do however remember screaming underwater when I came across a huge swordlike fish. Thanks for your pictures, they’re taking me back!!! Haha! You probably saw a needle fish, they can get quite big! Amazing. . .love the pics! Beautiful pictures – all those underwater shots are very cool! Thanks for sharing and congrats on being freshly pressed! stunning photos! thank you for sharing. wow these photos are incredible! Being South African, i’m also quite scared of sharks, but these were little ones, and were more scared of me. The Olympus is nice too, because it’s almost smash free! You photos are just incredible!! You never saw all the photo out-takes, i didn’t lie when I said we easily filled up our memory card (4 G) it’s not easy to take underwater photos, especially while snorkelling, you have to deal with the movement of the water, dust particles, and that fish you so wanted to get a shot of? well by the time you focus, likely it’s hiding under a rock! But it’s well worth it when you get the perfect shot! I’m a complete amateur too! I’ll have to plan more trips to polish up my skills! i’m a snorkeling fanatic! i’ve hit up the bahamas, the caribbean, and mexico…but i’m going to have to add Thailand…looks phenomenal. thanks for sharing! i’m inspired. OMG…your world is soooo beautiful *sigh* gratitude for the happy swooosh of emotion in me today! I would love to do this! I am adding it to the life list. You wont regret it, one of my all time favourite hobbies! Cool pictures! That’s a good solid camera you have too! Good Luck! i also found out that you can rent underwater cameras or casings from the dive shops, take care of your camera and have fun! Enjoy! 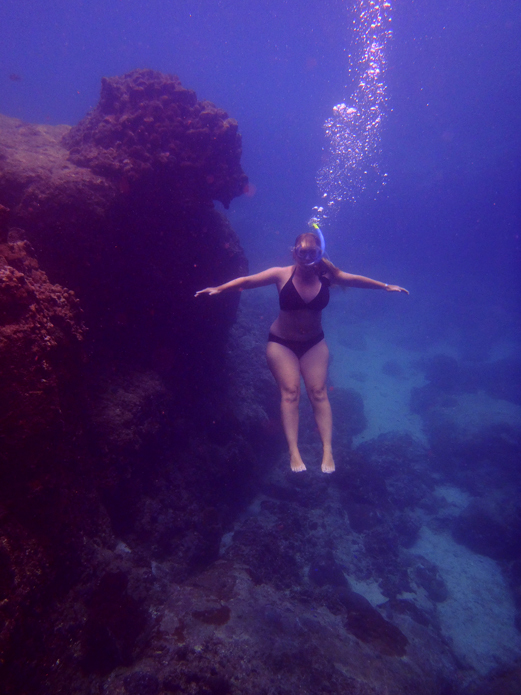 The water has amazing vis, up to 25 m! 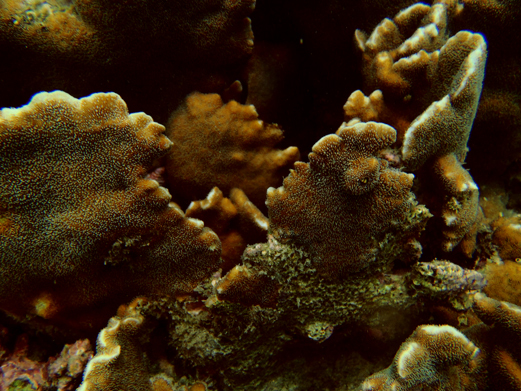 The pics are wonderful — they remind me of Bermuda, especially the brain coral. But mostly they remind me of how amazing it is to stick your head under water and see that tropical world — I, too, was astonished when I saw that stuff in person. I’m sure your pictures will be a welcome reminder of your wonderful visit to that world. I wish we’d had an underwater camera when we went to Bermuda! Next time, for sure. Yes it is so amazing down there! I want to go back! having the camera was great. Ur photos were really awesome…Sumone suggested me to do this ..But I m too, scared of the sharks ,octopus….Do they come near us? CAn they eat us? I found that when snorkelling, most of the creatures living underwater were scared of me, but while diving you are on the same level (not above) all the fish, and they don’t really care that you are there. The octopus on this diving trip were small, as were the sharks, and harmless. In thailand the reef sharks are not going to eat you, and i don’t think there are any reported cases of divers being bitten by sharks, but you never know, you should always treat them with a healthy respect. Beautiful photos. Thanks for the heads-up on Olympus Tough. I love snorkelling here in the Philippines and it would be great to be able to record the wonder under the water. Haven’t tried diving yet. Congratulations on being Freshly Pressed! 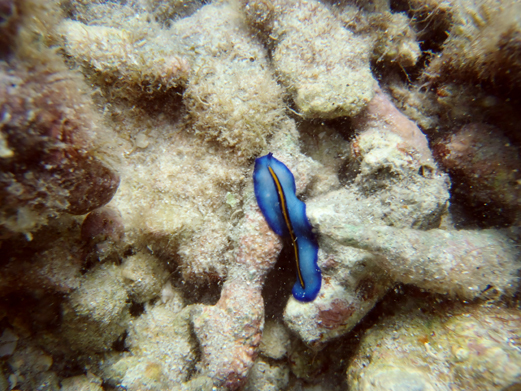 I snorkelled in the Philippines in El Nido, wow the underwater life there is incredible, best i think I have seen ever! You should really try diving, I was quite nervous, but it isnt as bad as it seems, and once you have figured out all the skills, its quite easy and relaxing. Also a nice way to meet people! Stunning photography! I can only imagine the colours would have been even more intense in the flesh. The underwater pictures you share here is just awesome , Its great to visit your site, keep continue with new updates , Thanks ……..
especially love the water’s blue surface with green under and pinkish rocks above…lovely water shot. I love this picture blog. How did you get them? Nice posts. Wow, amazing pictures! Really really beautiful. You’ve put them together very well (: I’d apsolutely love to go snorkelling. Lucky you! Beautiful. You’ve just rubbed in the fact that I moved AWAY from the ocean! :( Moving back now…. Sharks and brain corals. A winning combination! this is gorgeous!! i am planning a trip to thailand, hopefully i can make it out there to snorkel! As amazing as the photographs are, it would have been awesome being down there. Lovely underwater photos! . . . Makes me wish I had gone snorkeling when in Thailand several years ago! We have a small hut on a beach on Koh Phi Phi. It truely is as wonderful as it has been described. Crystal clear warm waters….amazing fish and under water coral life. Sea gypsies living nearby enjoying a newly purchased TV for the village watching the football for the very first time on a self made benches. The world is changing……but the corals remain spectacular…let’s hope that mankind continues to appreciate the beauty it has around it. Hi Kat nice shots, I love the dry/wet shots the best. Thank you, those are my favorites too! Your photos are amazing! 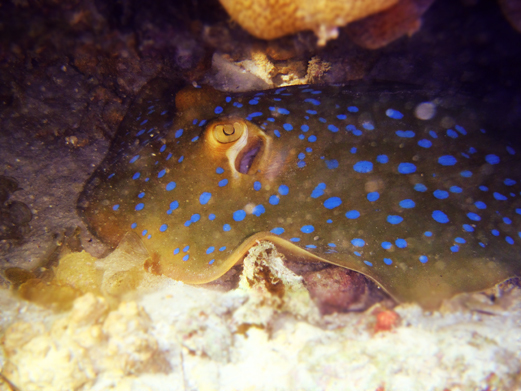 I especially like the blue spotted rays – very cool. Had never heard of them before. 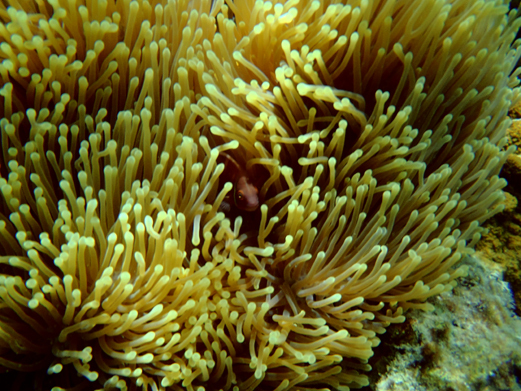 The colours in your photos are so vivid too – can’t wait to head south, will have to do some snorkelling again (haven’t done the PADI course so will have to be happy with snorkelling!). Haven’t snorkelled in Thailand yet – will have to add to my list! These are gorgeous photos. 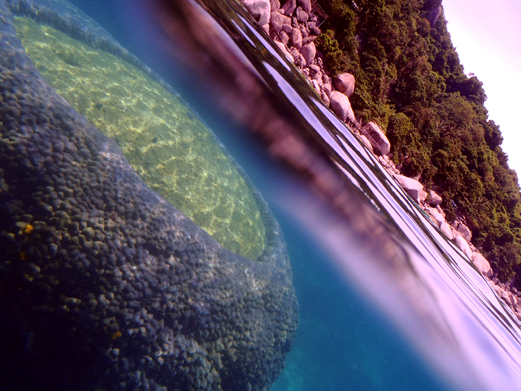 Snorkeling in Thailand sounds like a dream and looks like one, too. Congrats on being Pressed! Hi young lady,your blog is beautiful.And what you shot underwater is great, really wonderful.good job! !But can you image that i can not swim,though i learn to swim several times. This is very cool, thanks for sharing! Great pictures. My husband and I just went snorkeling a few weeks ago in Grand Turk, but didn’t have an underwater camera. We’ll have to try it next time we go. Snorkelling in grand turk sounds great! very nice pictures. You also have a nice page. what themes did you use? Love snorkeling but have only done it in Mexico and Hawaii. I wasn’t nearly as good as you with the underwater camera, I need more practice. Terrific shots. The quality is pretty amazing I have to say! I absolutely love snorkeling, I did it the first time when me and my family went to Puerto Rico and we tried out the underwater camera. Definitely didn’t come out with the beautiful pictures you did. One of my favorite things were the sea fans, they looked like gorgeous fans moving to the breeze, except the breeze in this case was the current. wow what a bunch of fantastic pictures! Wow, these are some amazing shots! Underwater life is so different than life on land. I wish more people had the opportunity to experience snorkeling. 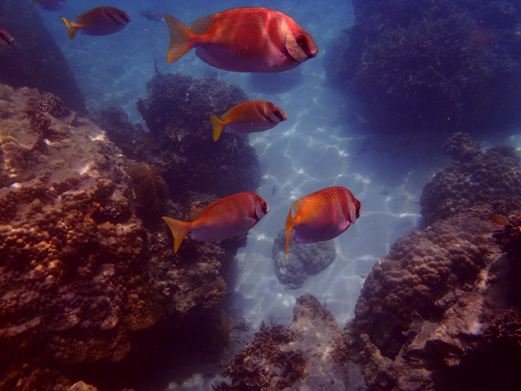 I love snorkeling, and I know how hard it is to get a good picture under moving water – your pictures turned out great! 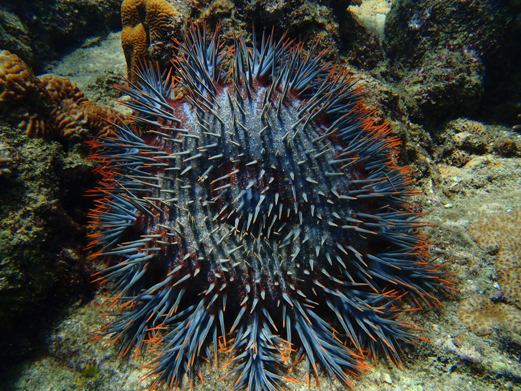 We have a newsletter called El Bohio (cienciaybiologia.com), which published photos of the marine world to show the beauty of his life. Would like to publish one of your photos or more, could give us permission? and send a picture please. I would have loved to have an underwater camera during my dives in Thailand. Isnt that place just wonderful, so many colors, so much LIFE!! i dont know how much you paid but it was worth every penny. Its a great camera and they are great shots.